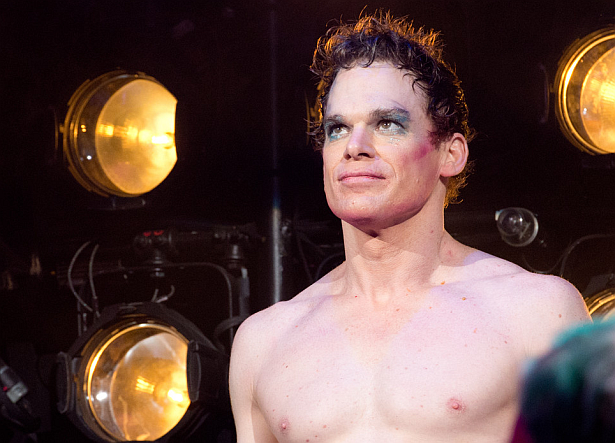 Michael C. Hall plays his final performance in the title role as Hedwig on Hedwig and the Angry Inch at the Belasco Theater tonight. He began in the role of the transgender singer on Oct. 16, 2014. Hall will be succeeded by John Cameron Mitchell, the writer and original star of Hedwig and the Angry Inch, beginning January 21st.